This books full title is Perfume, The Story of a Murderer which is a very accurate description. However, the title in itself is also ambiguous. How is something so inconspicuous as perfume associated with the violence of murder? The story straight away won me over because it is set in eighteenth century Paris. For me there is no better era to set a book; why pick anything else? Jean-Baptiste Grenouille is born into the most stench filled place on earth, a Paris slum, but he has the most sublime gift, an absolute sense of smell. He can smell everything, things that to you and me have no odour whatsoever. Not only that, he can remember every smell and he catalogues each carefully away in his mind to create the most exquisite perfumes. This book is so sensuously written. It is a credit to the translation that such atmosphere and feeling has survived from the original German. This book relies heavily on the description of the smells and it is expertly done so as to be completely understandable and also to conjure up the feelings that certain smells create. I am known amongst my friends to comment on how something smells like a certain period of time or memory of mine because that is the power that scent has. It can transport us through time and influence our actions. Where does the murder come into it I hear you ask? Now that would be telling. But I will say this Grenouille is no ordinary perfumer. His extraordinary talents come at a cost to his personality and he is distinctly unlovable. The story of his life is simple and quite short. There is a really weird bit in the middle where Grenouille lives in a cave for seven years and barely sees daylight but apart from that it is his quest to create the perfect perfume. In terms of the characters, you don’t really get emotionally involved with anyone. It is the kind of book you read as a passive observer. I am still unsure whether I like this style in general but I must admit it does work in this context. Grenouille is so detached it helps us to see his world view but also it means that the story moves along quite quickly because we don’t have to feel when someone dies. Now it is time for a confession because I have absolutely no idea how you say Grenouille. I have been going for Gren- wee in my head but to be honest I have no clue. Please make suggestions in the comments I would be very grateful. All in all, it was a really enjoyable read. It is a good book but I am really surprised that it is on this list. It isn’t particularly extraordinary in any way. I don’t feel the way I often do when finishing at BBC Top 100 book that is, thoughtful and as if my life has been enriched. It is a different kind of good from Midnight’s Children or I Capture the Castle but still really enjoyable. Would recommend to: give it a go for entertainment value. 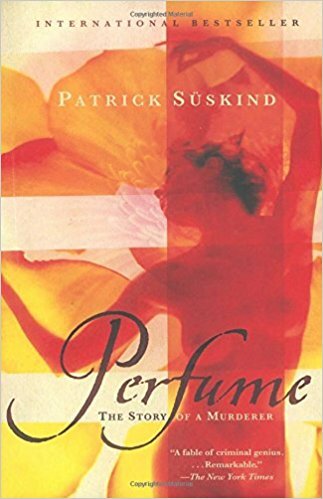 Check out Perfume, The Story of a Murderer here. Guest review contributed by Bernie and Books. This blogger studied costumes but also is an avid reader who enjoys analyzing books via her reviews. I hated this book because Grenouille was repulsive to me. Interesting to read why you enjoyed it, though. The movie was also good. I thought it did a good job in interpreting the original material. It really was an enjoyable read! You’re right about the lack of sympathy one feels for Grenouille, but it was done by one of the most sympathetic actors in the film, Ben Whishaw, who sort of ‘completed’ it. It’s just such a captivating idea overall. And it’s pronounced Zahn Bapteest (with a soft T) Gre-nu-ee.